The club has 6 SailQubes which are based on the International Optimist but are simpler and more robust. The Optimist is the world's biggest junior class and is most suitable for sailors between 6 and 12 years old but is sailed fully competitively up to 14 or 15 years old. At the 2016 Olympics, 85% of medalists started competing in an Optimist. Members of WWSC can book one of the 6 Club Sailqubes via the "Book Online" facility on this website. Alongside the Club's fleet of 6 boats, we will try to build up the number of families with these boats and the number of children sailing them regularly. 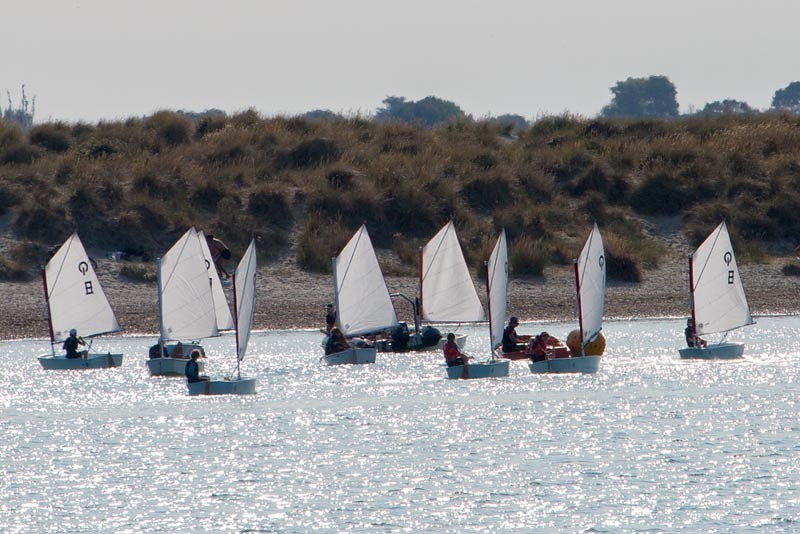 The weekend sailing squad will definitely feature these Optimists, with other classes if there is enough demand. They are suitable for sailors from age 6-14, weighing 25-45kg.